High Performance Packaging can build you a complete line using any one of these great manufacturers. 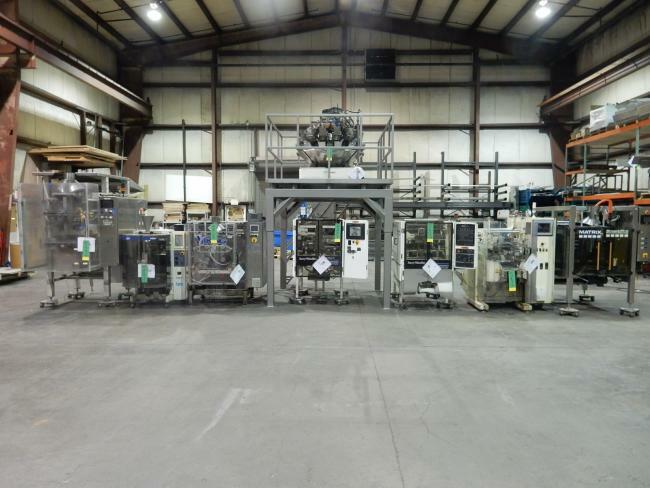 Ishida, Hayssen , Matrix Packaging Machinery, Rovema, Viking, Bosch, Sig DoBoy baggers. High Performance Packaging can build you a complete line using any one of these great manufacturers. Ishida, Hayssen , Matrix Packaging Machinery, Rovema, Viking, Bosch, Sig DoBoy baggers. HPP can also add any bucket elevators, incline onveoyrs for single products as well as tote dumpers for mixing products and Schebler gummy and fruit declumpers. We can build just about any line you may need. Call us today! ​High Performance Packaging can build you a complete line using any one of these great manufacturers. Ishida, Hayssen , Matrix Packaging Machinery, Rovema, Viking, Bosch, Sig DoBoy baggers. HPP can also add any bucket elevators, incline onveoyrs for single products as well as tote dumpers for mixing products and Schebler gummy and fruit declumpers. We can build just about any line you may need. Call us today!